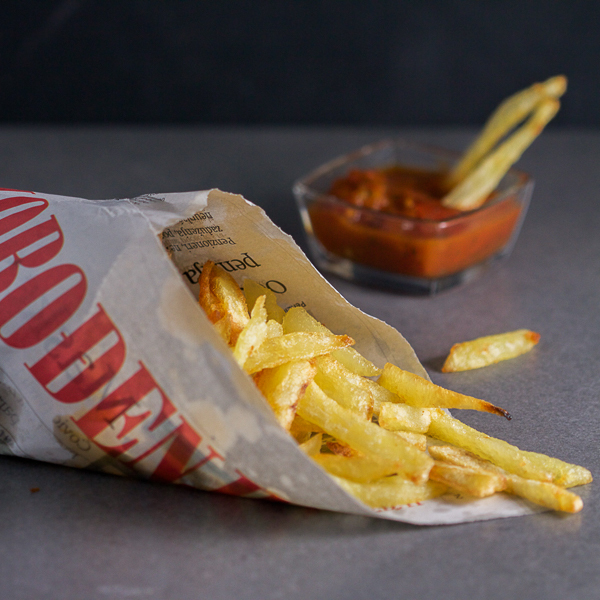 Golden-yellow, soft yet with just the right amount of crispiness, these homemade fries will melt in your mouth. If you’ve never tried making these at home, today is the day! Today’s text and recipe were contributed by Samir Hajdarević. 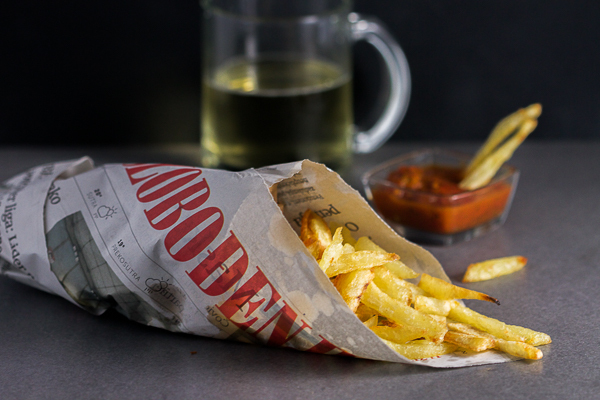 We all love homemade French fries or deep fried potatoes, don’t we? It’s hands down one of my favorite things to eat. I’ve loved fries as long as I can remember. McDonald’s fries are probably the best, and definitely the most recognizable ones. They’re the fries you can find anywhere in the world. But to prevent going to fast-food joints too much, it’s probably best you start making them at home. What’s good about homemade fries is what a great side they are with many different dishes. 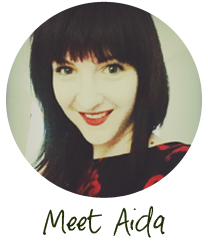 You can serve them along different beef patties, schnitzels, different types of fish, or with other vegetables. Or, you can eat them by themselves with a dipping sauce and some appetizers; they’re ideal for hanging out in front of the TV. And kids absolutely love them! This tasty side dish that’s found throughout the world has roots in France, although Belgians consider it their own as well. In English, we know it under the name of French fries, in German as Französisch frites, and in French simply frites. As the story goes, we owe the name to the American WWI soldiers that found themselves on front in the French speaking parts of Belgium. However, I won’t be spending more time pondering the name, I’ll leave it to others figure it out. Meanwhile, I’ll give you a few recommendations how to make the best homemade fries. Let’s start from the beginning. The first thing is to know is how to choose the right potatoes for fries. You are welcome to use frozen ones, as this will save you time. But for this recipe I made mine from scratch. The best potatoes for fries are the medium-sized ones, with thinner, reddish skin. They’re ideal because they have less starch. You are welcome to use older potatoes with dark brown skin, but I wouldn’t recommend it as sometimes they’re rotten inside, and full of dark spots. This gives them a bad aroma and in addition, they don’t look appealing. Therefore, look for potatoes that are reddish, thin skinned, and almost white inside. You want to stay away from young potatoes as well, as a high starch consistency makes them too watery for frying. These are better to use for mashed potatoes. Furthermore, cut the potatoes into smaller, even, sticks the thickness of your pinkie or thinner. You’ll need practice, and don’t expect them to come out perfectly the first time around. If they’re too thick, they’ll fry too long, and some will still come out undone. If they’re too thin, they’ll burn. The simplest thing to do is this: after peeling, cut the potato into ¼ inch slices, and then cut each slice into ¼ inch sticks. This process may take a little longer, but it’s the best way to make the fries even in size (unless of course you have a fry cutter). After cutting the potato, soak it in water for about 10 to 20 minutes so it expels the extra starch. Dry it really well, and it’s ready for frying. 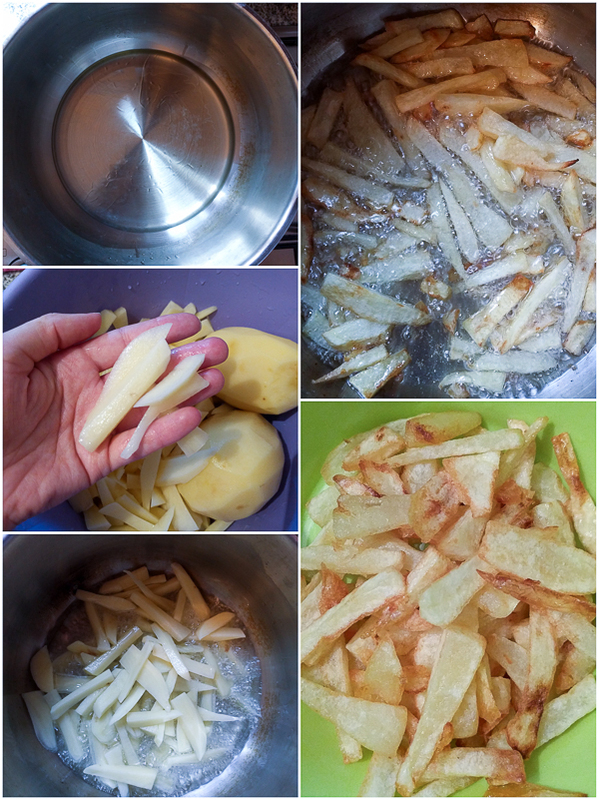 You can leave the cut, dried, potatoes in the fridge for a short period of time, and fry a little bit later. But don’t leave them in the fridge too long. For frying, take out a deep pan, or a large pot to prevent oil from spraying outside. Avoid pans with a thin bottom due to burning, as fries are made on the highest temperature possible. You can add as much oil as you’d like. If you want to make a lot of fries, and are in a hurry, you can fill it up to a third way in the pot. However, as to not waste the oil, I generally fill it up to a thickness of about two fingers, and continue adding a little bit more as necessary. I place enough fries to have them completely covered in oil. 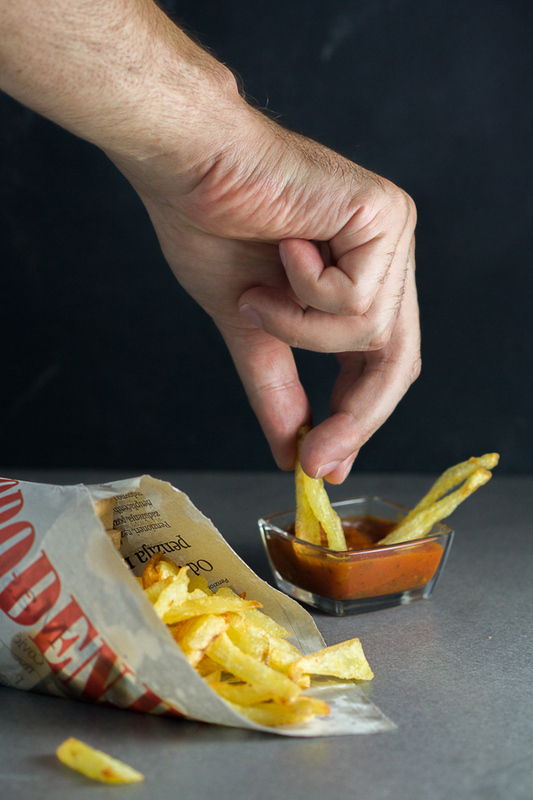 As fries soak in a lot of oil, you’ll have to keep adding more oil to keep the level even. Fry them until they’re golden brown or lightly brown in color. Rest them on a paper towel to soak up the extra oil. When fried, potatoes soak in a lot of the oil, and this makes them unhealthy. 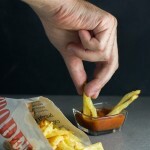 As much as we love them, we shouldn’t consume fries too much or too often. Moderation is key here. Peel potatoes and place in a deep bowl filled with water. Cut each potato into 1/4 inch slices, and then cut each slice into a few 1/4 inch sticks. Place the sticks back in water. Let rest for 20-30 minutes. Occasionally and carefully stir the fries to prevent sticking. Fry the first batch for about 12-14 minutes, or until golden brown. (You may have to adjust the temperature up or down a little bit to speed up the process, or to slow it down.) Transfer fries to a paper towel so it soaks up extra oil. Put in the second batch and fry for about 8-10 minutes, or until golden brown. Repeat for the remaining batches.